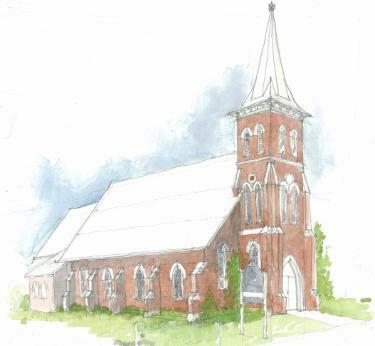 A pencil and watercolour rendition of an old country church in Ontario. 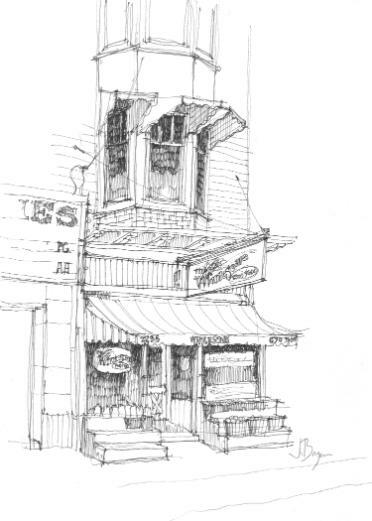 A quick pen and ink drawing of a storefront in the east end of Toronto. 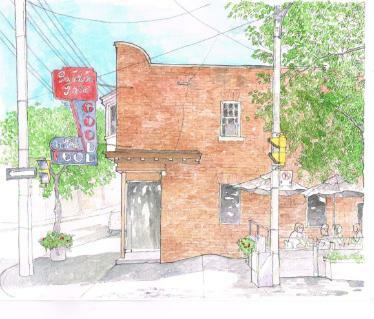 A pencil sketch of the famous Goof' restaurant in the Beaches area of Toronto. 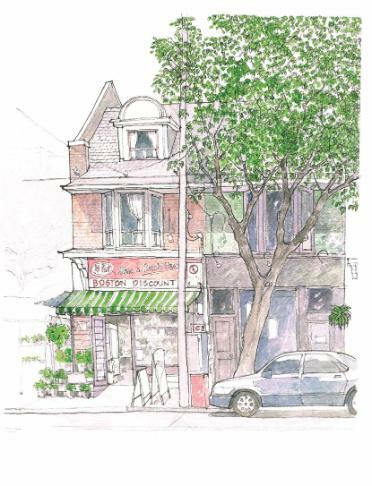 A typical storefront in east Toronto in pencil and watercolour .